We know that good interior decorating starts from the floor up. 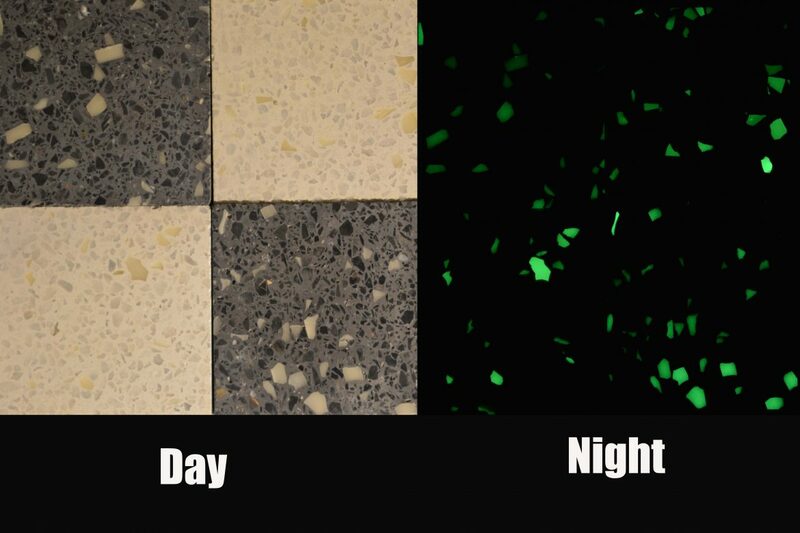 Glowstone® can be incorporated into terrazzo tiles for a unique and stunning effect, which will also enhance property value. 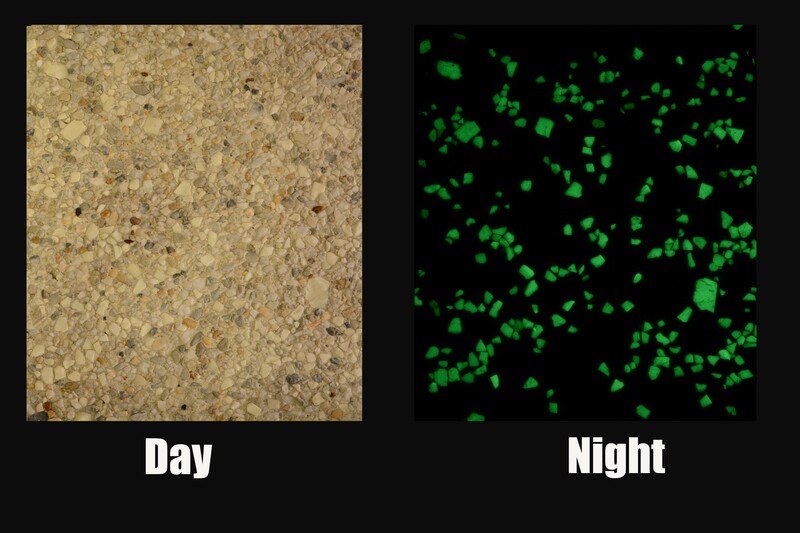 Concrete exposed aggregate application producing a bright natural glow in the dark–illuminating polished concrete floors, pool surrounds, garden pathways, outdoor areas and driveways. It is available in a range of ‘glowing’ colors.